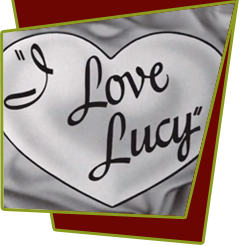 When Ricky decides to take Lucy and Little Ricky with him on a two-month summer booking in Maine, real estate saleswoman Mrs. Hammond informs them that she can find a suitable tenant who would be willing to sublet their apartment for three hundred dollars per month. At first, landlord Fred doesn't like the idea and reminds his tenants in 3-D that their lease calls for "approval of the sub lessee by the lessor." The Mertzes thereafter turn down six prospective tenants, prompting Lucy to crack, "The Mertzes wouldn't even approve Ike and Mamie." Patient Mrs. Hammond suggests that, to be fair, the Ricardos should split the monthly profit of a hundred and seventy-five dollars with the Mertzes. Suddenly Fred sees the light and approves the next potential tenant, Mr. Beecher, a timid man who seeks peace and quiet following a nerve-racking murder trial on which he served as a juror. After the sublessee has been approved, Ricky learns that the Maine engagement is canceled. The Ricardos want their apartment back, but Beecher won't budge. There's nothing left to do but move in with Fred and Ethel - lock, stock, and Little Ricky. Life with the Mertzes is hell, and vice versa, so Lucy and Ethel dream up a scheme to scare Beecher into leaving. Meanwhile, Fred has located and paid two month's rent on a temporary apartment for the Ricardos. Just then, Ricky bursts in with the good news, the band has been booked in Del Mar, California for the summer. Special Notes: The Arnazes actually spent the summer of 1954 in seaside Del Mar, relaxing from their strenuous "Lucy" chores. At the end of the episode Ricky says "My agent got me another job. We're spending the next two months in Del Mar, California." This, therefore, should have been the Ricardo's first trip to California. However, when they go to California in Season 4 this is never acknowledged. Bloopers: After Lucy pulls the kitchen window shade, the handle swings in and out of the window indicating there's no glass.